It can be a challenge to stay organized while living in an apartment, and nearly impossible when you're short on space! 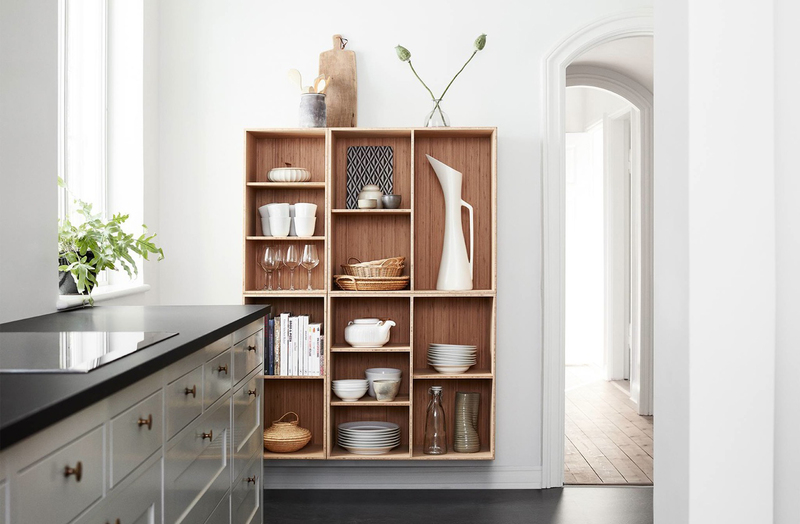 Fear not - Ayre & Oxford is here to help with some great space saving solutions for each room in your apartment. Make the most of every space, including that tiny space between the fridge and the wall! Eliminate canned goods from crowding your cupboards by making your own slender rolling cabinet. Use your ironing board as extra counter space when baking or cooking. Because the surface is designed to withstand heat, the ironing board works perfectly for placing hot dishes and baking sheets. Clear up counter space by eliminating your knife block. Instead, try mounting a magnetic knife rack to keep your sharp knives off your counter and out of your drawers! If you are worried about damaging your walls, use 3M adhesive picture hanging strips instead. Have your furniture do 'double duty'. A coffee table with added storage or bench seating with compartments, will allow you to stow away many things while keeping them handy. Purchase a rolling table. Use it as an end table with storage space in the living room, and when you need extra counter space, you can roll it into the kitchen. Use bed risers to maximize under the bed storage. With a little extra height under the bed, you can fit more storage bins under the bed. Use the back wall of your closet to hang your belts, out of season purses, or hats using command hooks. Use S hooks to hang your jeans. S hooks are thinner than hangers therefore taking up less space. Just hook the belt loop over the S hook and then hang from the closet rod. Move your toiletries off the counter and out of the drawers by hanging mason jars. This DIY tutorial will help you make a hanging mason jar organizer. For in-shower organization, try adding a tension rod to the back wall of your shower and hanging baskets and clips along it for convenient access to shower necessities, like in this tutorial. If you are still having trouble finding room for all your stuff, consider renting a storage unit near you. Here at Ayre & Oxford we have a variety of spacious suites waiting for you! Contact us today.